Considering a new car, throwing in the towel on an old motorcycle that won’t run or looking to get rid of an ATV? 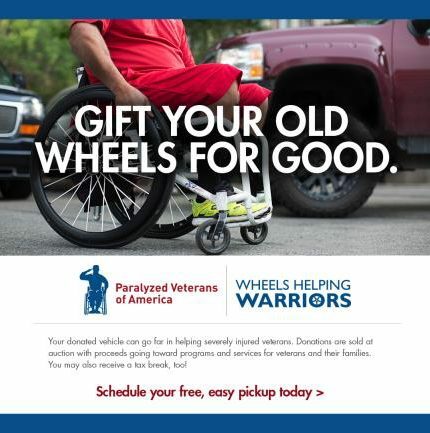 In all situations, Paralyzed Veterans of America’s Wheels Helping Warriors Vehicle Donation program is a perfect outlet for your generosity. It’s easy to donate. Be sure your title is on hand, fill out the online form at www.wheelshelpingwarriors.org or call (844) 206-9737. We will schedule the pickup free of charge and donors receive a tax deduction for the donation.